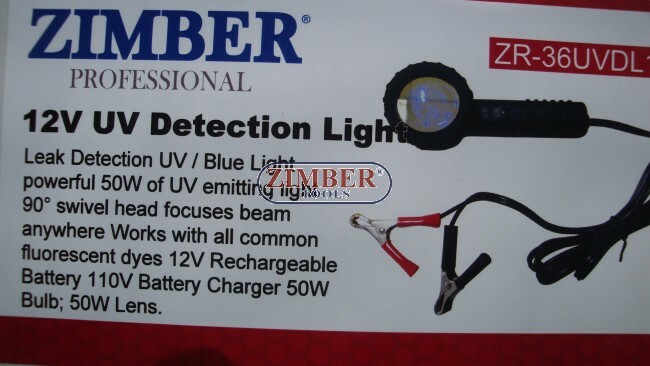 Leak Detection UV / Blue Light powerful 50W of UV emitting light 90° swivel head focuses beam anywhere works with all common fluorescent dyes 12 V Rechargeable Battery 110V Battery Charger 50W Bulb; 50W Lens. 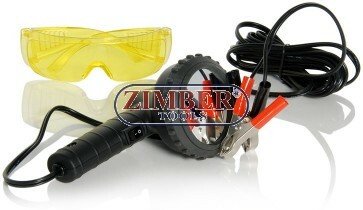 Ideal for detecting leaks in air conditioning and cooling systems with the use of fluorescent dye (not included). Features robust composite housing with rubber edge protector. 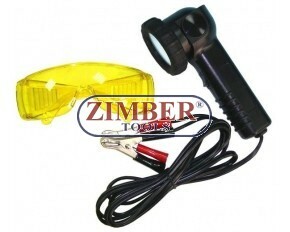 Supplied with 4.3mtr cable and battery clips. Suitable for use in most lighting conditions. 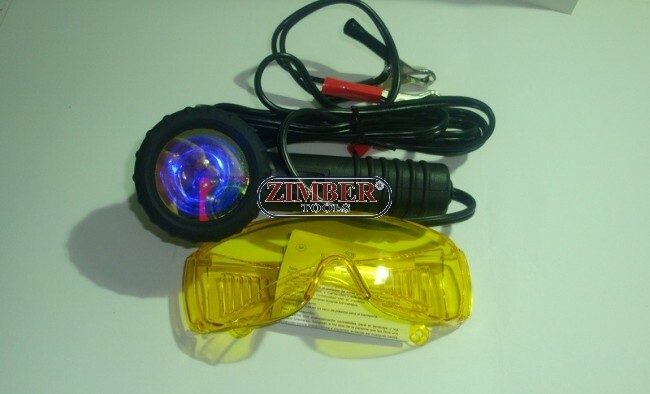 For best results and protection we suggest this product is used with SSP46 Light Enhancing Safety Spectacles.